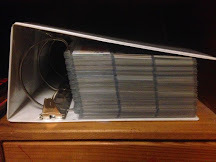 A little while ago, I posted on this here blog about one of those ubiquitous, quarter vending machines, found in the front of retail establishments across the United States. 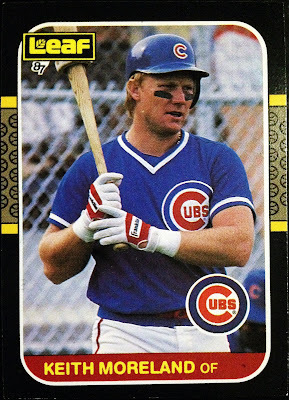 This one, like countless others, was stuffed to the gills with stickers; however, unlike those others, these stickers weren't unicorns for your trapper keeper or smart-alecky sayings to affix to your locker door. These stickers featured baseball team logos and were about postcard sized - perfect oddball card characteristics, right? Anyway, I bring all of this up because Mr. Smith, of ARPSmith's Sportscard Obsession fame, was intrigued by the Giants sticker that I received for my twenty-five cent pieces. Seeing as I care not for the San Franciscans, I was more than happy to send the adhesive his way, as part of our very first trade. Hooray for new trading partners! 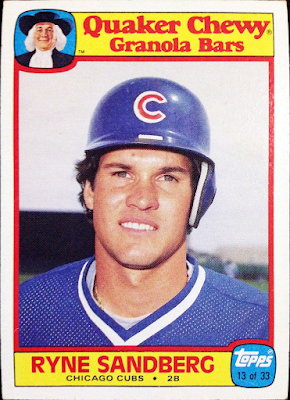 First off, a pair of 80's oddballs featuring two of the franchise's most iconic faces - Hall of Famers Ryne "Ryno" Sandberg and "Sweet Swingin'" Billy Williams. Retail oddballs are always a welcome sight, especially when they're brand new to me - that "Ryno" is the very first Quaker Oats card to make it's way into my clutches. Plus, I LOVE those chewy granola bars. Also, another pleasant sight to see in a trade package are Leafs (Leaves?). The Canadian manufacturer always gives 80's, junk wax-era singles a little character. In fact, this "Zonk" from 1987 will be sliding into my CATRC binder as Moreland's representation, seeing as a foreign card is always more intriguing than your basic base card. Meanwhile, as a kid who grew up in the 90's/00's, Sammy Sosa was THE MAN. 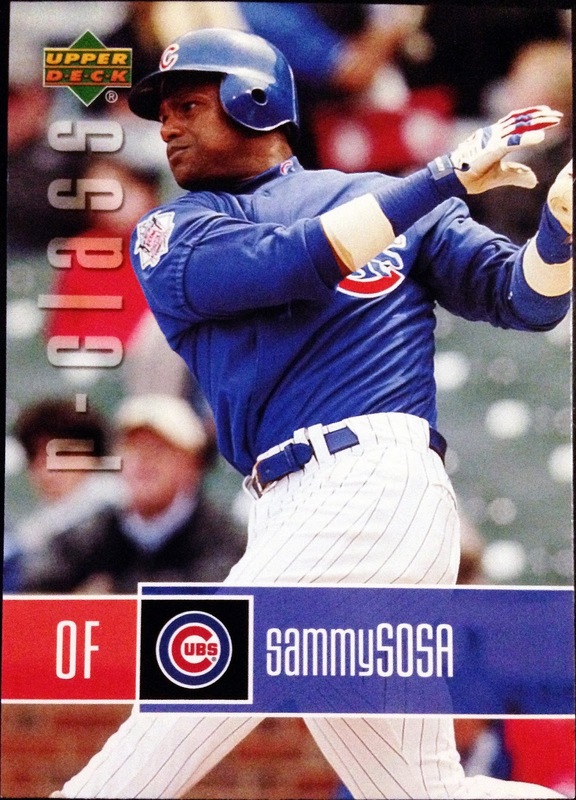 Therefore, "Slammin' Sammy" cards will never be rejected in this household. 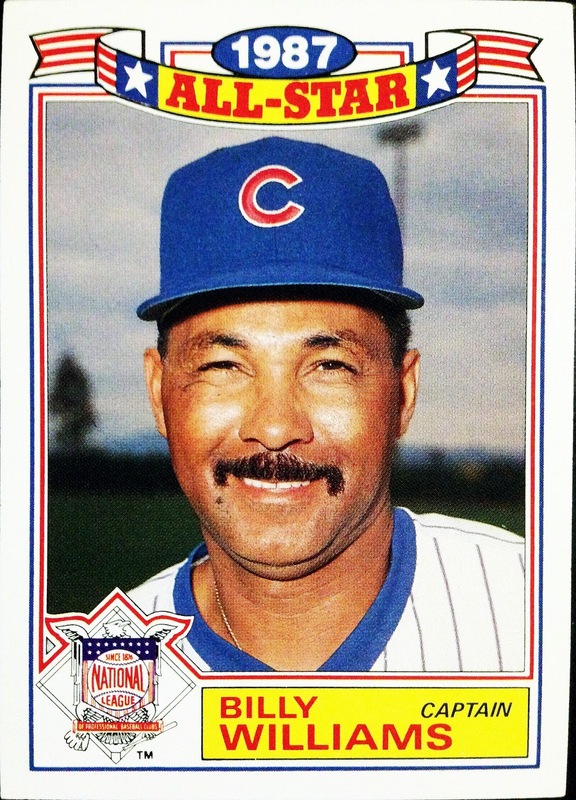 On that note, neither will cards of, the one and only, Mark "Amazing" Grace; while Sammy and his tape measure blasts were always entertaining, it was Gracie and his consistent ability to get on base that was my true favorite baseball player, as a child. 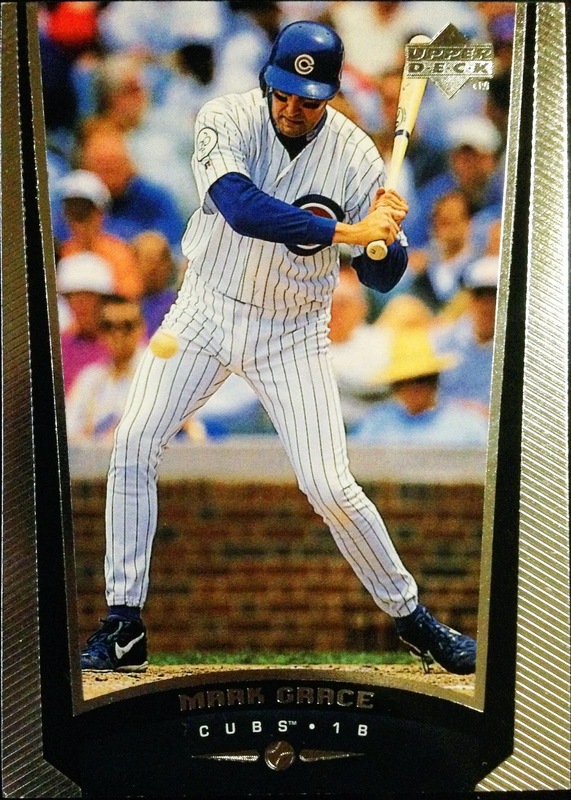 The 1999 Upper Deck single and all of it's shiny foil might be a dupe for me (I can't quite recall); that said, it offers a decent view of the Harry Caray memorial patch worn by the club throughout the '98 season. 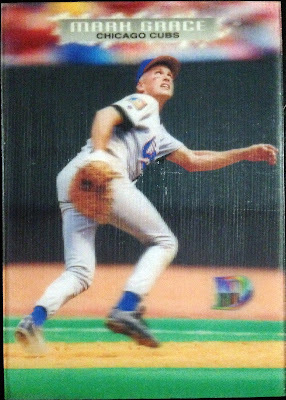 On the other hand, that Topps 3D is entirely new to me and features a nice shot of the perennial Gold Glover plying his trade. 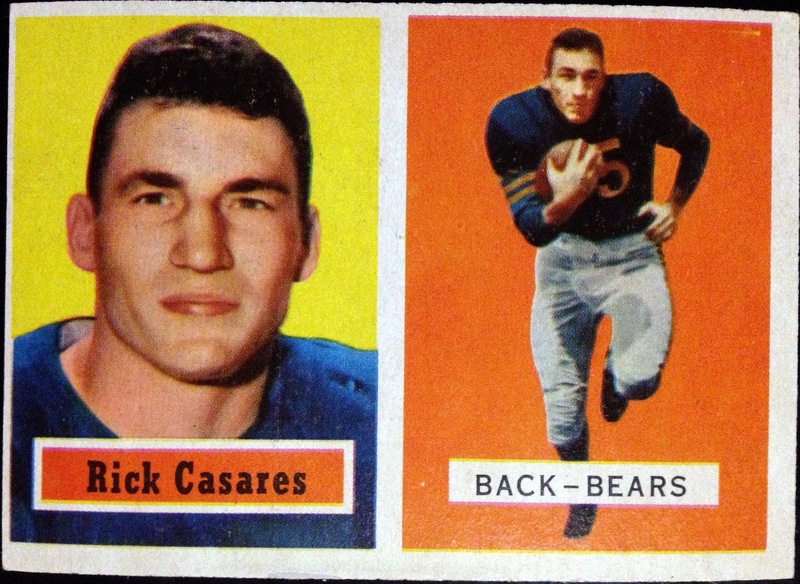 My Bears All-Time Roster Collection is number three on my collecting priorities and is a fairly new endeavor, comparatively. As such, vintage gridiron cards don't end up in my clutches very often, as that money is usually funneled into my Cubs collations. I cannot overstate just how ecstatic I am to see fifties football pop out of this PWE, especially short-termers, like Jeter and Watkins, and a franchise icon, like Casares. 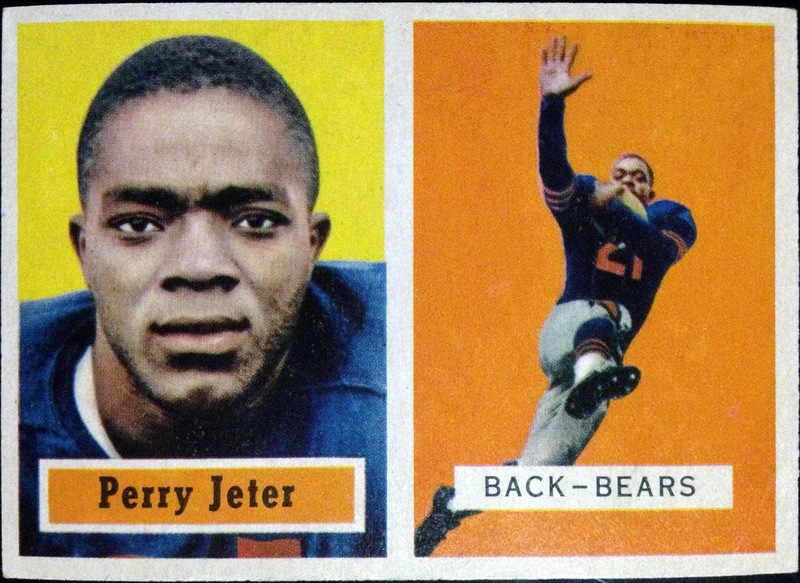 In fact, I do believe that these three are now tied for the oldest cards in my Bears collection. Boo-yah! 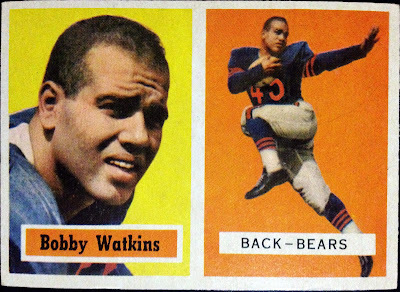 Also, let's be real, as a Bears fan, focusing on the past is a much more pleasant endeavor than the present. My thanks go out to ARPSmith, for crafting such a satisfying trade package in exchange for my vending machine sticker and Giants odds n' ends. The compensation was more than adquate, far exceeding the "sticker price." Ba-dum-tiss. Here's hoping that this is the start of a wonderful trade partnership! I love Jay Cutler. He has some of the best memes on the internet. Did you know that "How Soon Is Now?" was named one of the most depressing songs ever made; don't ask me who actually pinned it with that title but I bet if you did a Google search you'd find out. I'm a fan of the Smiths, started listening to them towards the end of high school '02 - been into them since. 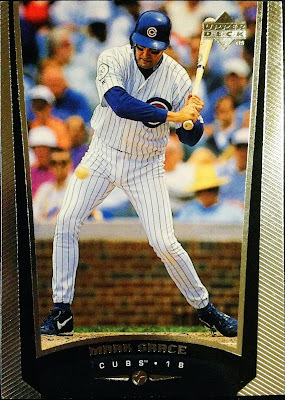 Not overly familiar with baseball cards but I'm happy to read that you were over the moon about the package from your buddy.